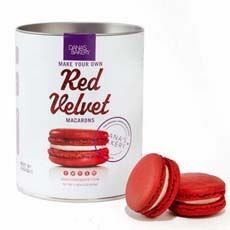 For those who both like to bake cookies and eat French macarons, an inspired gift is Dana’s Bakery Macaron Making Kits. One of our favorite macaron makers, Dana’s is known for innovative flavors and seasonal specials. A video provides step-by-step guidance (below). Once you get the hang of it, you’ll be able to buy your own almond flour and make macarons galore in your favorite flavors and colors. Each flavor is $24.00, three for $72.00. The baking mat is $18.00. Check ‘em out at DanasBakery.com. If you’re concerned about what it takes to make delicious macarons, watch the video below. 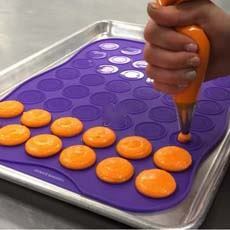 Make your own macarons with this kit and baking mat from Dana’s Bakery.